Roofing Superstore is proud to offer the latest innovative pipe flashings from Dektite, a market leader in the roofing, plumbing and heating industries. Deks have over 15 years of experience in producing high quality and innovative products, and Roofing Superstore offers a range of Dektite pipe flashings at our famously competitive prices. For any questions, product recommendations or advice, feel free to get in touch with our team of experts – just give the team a call on 01752 692760, or use the live chat in the bottom right hand corner and they will be more than happy to help. Pipe flashings seal the roof at the point where pipes go through the roof and out into the external environment. Pipe flashings fit around ventilation pipes, soil pipes and other pipes that protrude through the roof. Pipe flashings create a completely weatherproof and watertight seal around the pipes, ensuring that no water ingress occurs, or wind catches the sides of the roofing material, causing uplift and damage. Additionally, pipe flashings prevent any insects, birds or rodents from entering the roof space. What different Dektite pipe flashings are available? There are a number of different Dektite pipe flashings available, all of which have slightly different features making them suitable for different applications. 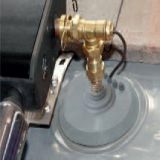 Generally, grey silicone flashings are used with pipes where the temperature can be up to but not greater than 200 degrees, whilst black and grey EPDM flashings are used with pipes where temperature is not an issue – up to 115 degrees of constant heat, or 150 degrees of intermittent heat. 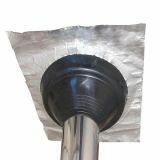 Seldek aluminium pipe flashing has been designed for use on pitched slate and tile roofs. 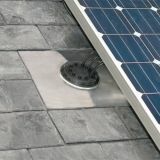 The Seldek pipe flashing comes with an aluminium base, and an epdm cone. 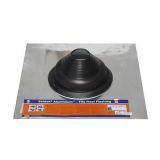 The EPDM cone is simply trimmed on site, to ensure it is the perfect size each individual pipe, and the aluminium base is malleable an high quality, and will not corrode or stain roofs or gutters nearby. Seldek Nu-lead pipe flashing is an environmentally friendly alternative to traditional lead pipe flashings. The lead base of the pipe flashing is coated with a unique thermo-baked acrylic coating, meaning that the lead is not exposed to the environment, and will not leach into the roof, gutters, and downpipes, towards the water table, but still retains the malleability of lead. Dektite Solardek pipe flashings have been designed specifically for use on solar panels through slate and tile roofs, protecting solar thermal pipes and cables without allowing any water ingress into the roof space. 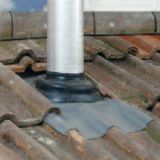 The Solardek pipe flashing features either the Nu-Lead or the Aluminium base, with an EPDM or silicone cone that has been manufactured to suit solar thermal pipe sizes.  The Dektite Multicable solar flashing is another application-specific pipe flashing product from Dektite, and is a speciality flashing for use with solar PV cables on both tile and slate roofs. 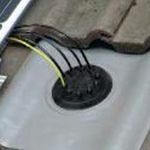 The Multicable solar flashing can take up to 10 cables through the roof, isolating them from the tile or slates, to avoid any damage to the cables, and also creating a weatherproof seal.